Shirts are a must have for all men and boys of all ages and nowadays for women too. 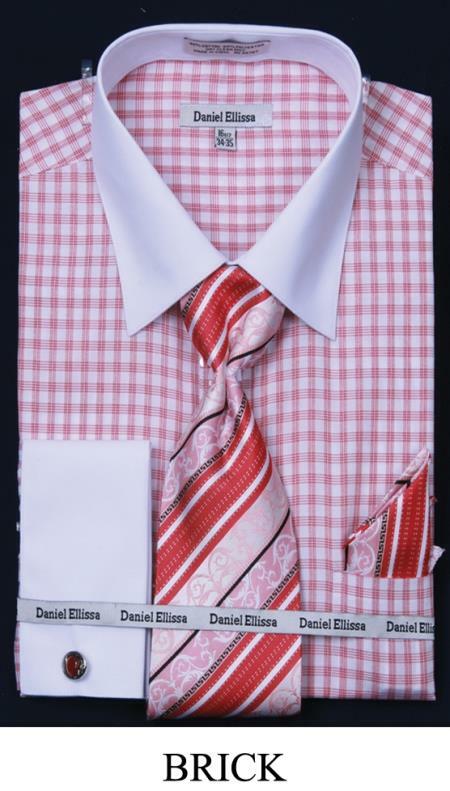 You will get different varieties of shirts from the well known brands. The colors, designs, fits and trends of shirts keep changing regularly and more so because men too have become quite fashionable and love to get dressed in exclusive attires. Shirts are the basic of all apparels and among the different brands available today, Modena Shirts have made it to the top in popularity as well as quality. These designer shirts are considered as formal wear for men that are accompanied by a tie and also a jacket. The shirts are sometimes called button shirts too as there are buttons in the front lengthwise. People often crave for Modena Shirts for certain specific reasons. The striking features of the shirts are that they have a sophisticated look and feel that makes them so special. The Traditional Fit Modena Shirts are fully cotton Dolby with a spread out collar and a French cuff. These shirts do not have any pockets. You can choose from an array of colors that you can view from our website. There are a number of sizes available to accommodate every body type. The Slim Fit Modena Shirts are essentially made from highest quality cotton for a perfectly soft and cool feel. They have French cuffs and are without pockets. They are extremely comfortable and are the perfect choice for men of taste and quality. The solid white dress shirts from the collection of Modena Shirts are unique and unmatched. They are a blend of cotton and polyester that gives the shirts an outstanding finish and glaze. They have collars that can be removed as and when required and there are French cuffs like the other styles. You will see rounded hems on the shoulders that give them extra durability. You will get a chest pocket in these varieties of designs. The quality of the fabrics makes them easy to wear and maintain as you can wash and dry in a machine without causing any damage to the fabrics or the colors. The French Blue color Modena Shirts are indeed alluring and are one of the most coveted shirts among all men. They have pointed collars that are removable and are embellished with barrel cuffs. Rounded hems are prominent in the shoulders and collars to offer durability. These shirts are however not of pure cotton but are a blend of polyester and cotton with a single chest pocket. They are easily washable in the machines. The elegant style of the shirts and detailing of every minute part creates a classic image that has made them popular worldwide. The variety of colors include classic white, gray, pink, tan, black, silver, and various stripes in slim and modern fits with variable cuffs. If you are interested to bring this amazing shirt home then log on to our website. You can choose from the cuff styles that include barrel cuff, French cuff and short sleeves. The colors available are black, blue, burgundy, cream, pink, purple, gray, red, sage, yellow and white. < /br> As for the quality and comfort aspect of the Modena Shirts there is no other brand that can be a match for them. You can choose your wear from the unlimited variety to prove who you are. Visit our website and see the difference that comes your way.